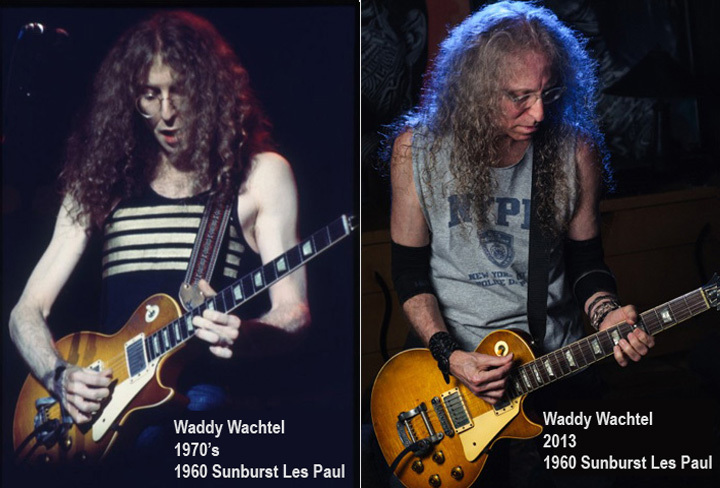 Waddy Wachtel and Gibson Custom are pleased to announce the release of Collector's Choice #14, a hand crafted replica of Waddy's 1960 'Burst Les Paul guitar. 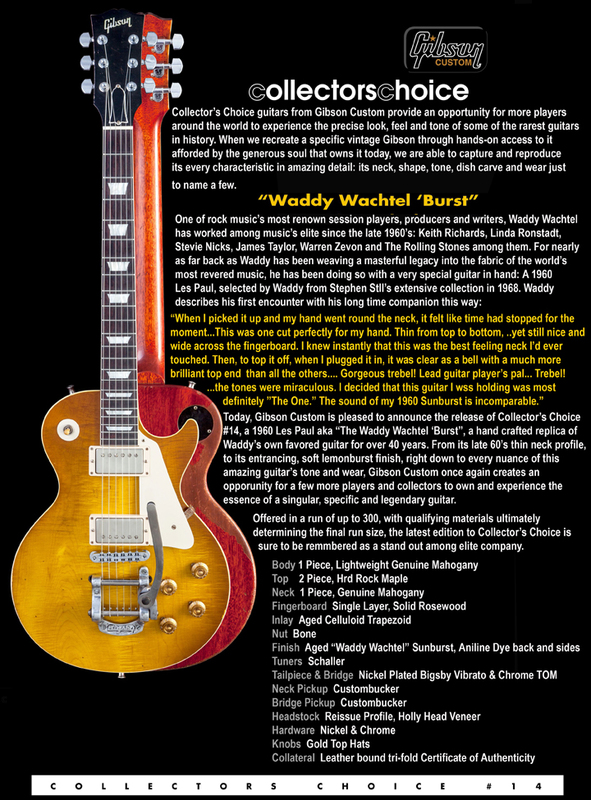 Waddy worked directly with Gibson to ensure that this guitar plays, looks, and feels like his original. 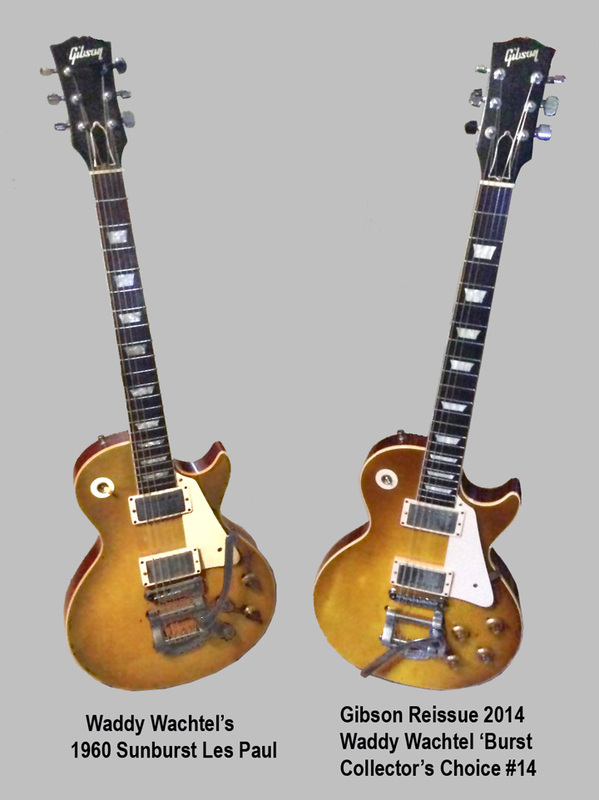 It will be available for purchase in music stores.